My wife Anne really likes the atmosphere in the Witchery restaurant in Edinburgh so, for her birthday, we arranged a family meal there. The Witchery has several rooms but the Secret Garden is the most atmospheric. You go downstairs to a panelled room with an amazing painted ceiling and doors onto a garden. The menu is quite short and, in truth, I didn’t really fancy any of the starters from the a la carte menu. 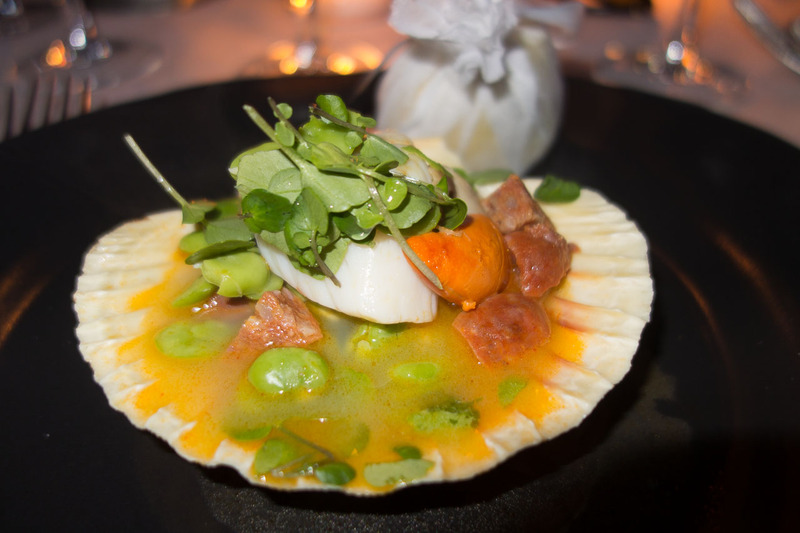 Rather, I asked for a starter from the fixed price menu – scallop with broad bean, chorizo and spoot (razor clam) cassoulet. This looked very attractive but, sadly, the quality of the dish didn’t live up to its looks. The scallop was like a rubber ball – seriously overcooked and if there were any spoots in the cassoulet, they weren’t at all obvious. The chorizo and broad beans were OK but overall, this was a very disappointing dish. 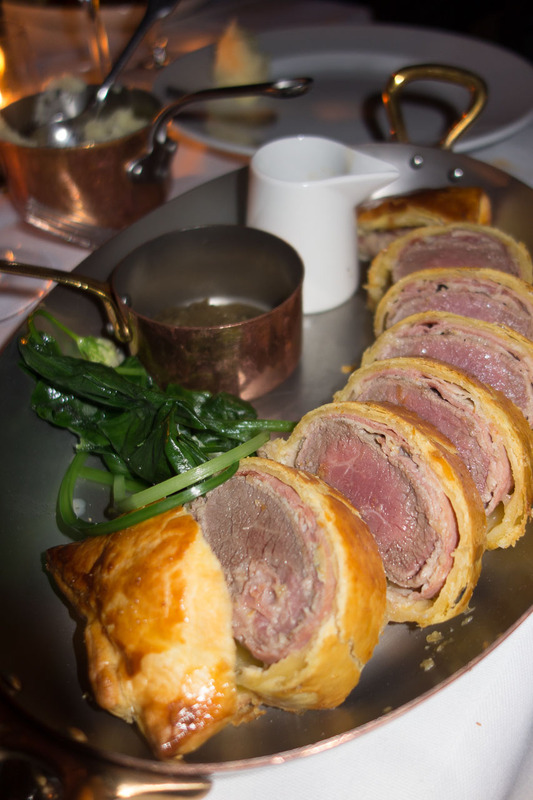 For our mail course, we all had Lamb Wellington – a fillet of lamb wrapped in all manner of things (Serrano ham, mushroom mousse, etc) in a pastry case. This came perfectly cooked and was met with general acclaim. However, the problem with this dish in general is that you have to use a cut of meet that cooks very quickly and these tend to be a bit lacking in taste. This was no exception – perfectly cooked but overall I found it a wee bit bland. I didn’t have a pudding but tasted both the chocolate tart and the mascarpone and passion fruit trifle. Both were very nice. The Secret Garden is a lovely restaurant – the service was impeccable and the atmosphere was great. It’s worth a visit for the atmosphere alone but, sadly, if my meal was anything to go by, you don’t go there for the food. Prices are high (£10 for my starter, £30 for main) and for these prices you can eat far better in Edinburgh.